SecuriTEST PRO #33-892 The most versatile all-in-one installation and troubleshooting tools for the CCTV professional. CCTV installers often need to carry a variety of testing tools to complete their work. SecuriTEST combines the most-needed tools in one easy-to-carry package. Since all connections (video/communications/DMM) attach to a single unit, SecuriTEST eliminates the need to juggle several devices while on a ladder or lift, making working conditions safer and increasing productivity. Seven Essential CCTV Tools – Combines a CCTV video tester, PTZ camera controller, Digital Multi-Meter, UTP cable tester, video test pattern generator, PTZ protocol analyzer and camera programmer in a single compact package. Save Time & Money – Test, aim, focus and program cameras when working alone. Save time by not having to walk back to the control center to verify functionality of each camera. Compact Design – Combines all the most needed—security tools in a lightweight, easy-to-carry unit. Sharp, bright 2.5in (6.3cm) color LCD screen with on-screen displays for PTZ control/diagnostics and DMM readouts. 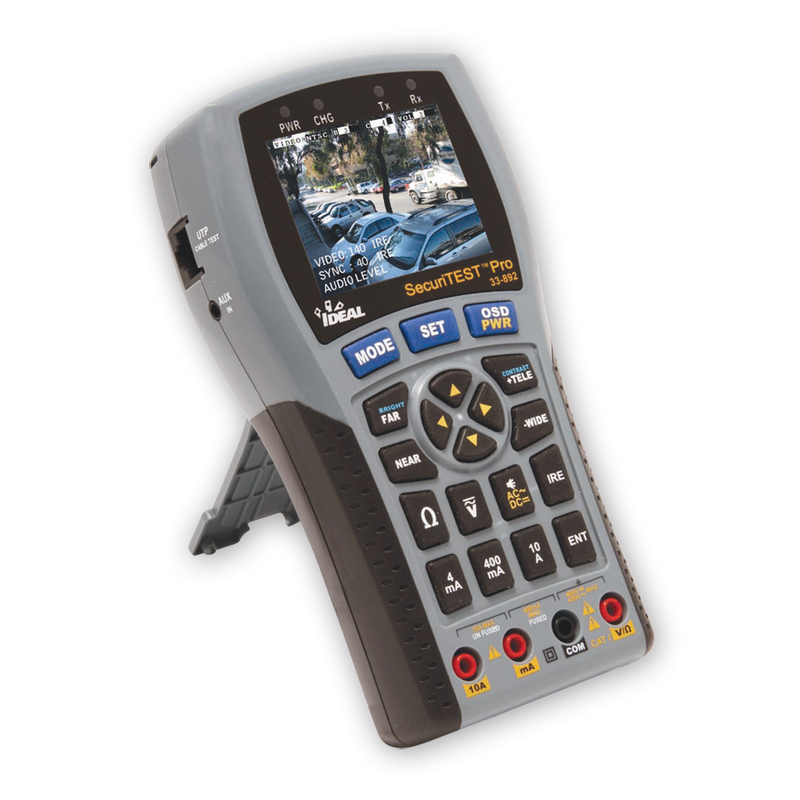 PTZ Protocol Analyzer – Compatible with 20+ PTZ protocols to test and program cameras in the field. Decodes and identifies output from PTZ console to aid in troubleshooting.